Test Your Muscle-Building I.Q: Prove You Know What's Best! Making the effort to seek out new information and learn more about muscle-building is always a wise move, so put yourself to the test with this short quiz. How well do you score? To build strength, you should be working within the 3-6 rep range. The best place to put your ab work is after your weight lifting session. The best way to get a six-pack is to take control over your diet. Prove You Know What&apos;s Best! If you&apos;re new to weight lifting and working out, there is a very good chance you have a number of questions floating around in the back of your mind with how you should go about building muscle as optimally as possible. Even if you&apos;ve been training for a number of years, there could still be many things that you aren&apos;t quite doing entirely right and thus are sacrificing the muscle-building results that you could be seeing if only you were training smarter. Work in the rep range of 8-12 reps per set. Perform all your workouts using your one-rep max. Use a combination of rep ranges throughout the workout. Work within the rep range of 3-6 reps per set. While it&apos;s a good idea to utilize a few different rep ranges throughout your overall workout set-up, if you are primarily focused on gaining strength, you should be working somewhere within the 3-6 rep range. Doing one-rep max sets every single workout would quickly lead to overtraining, and using a higher rep range you wouldn&apos;t be able to lift as heavy of a weight, therefore pure strength progress would suffer. Would Quickly Lead To Overtraining. Use a full body workout program performed three times a week. Work one muscle group every day of the week, five days in a row and take weekends off. Stagger your workouts so you&apos;re body never knows what is going to be worked next. Only work the body parts where you specifically want to see muscle growth. Many people believe the fast track method to building muscle is to completely destroy one muscle each day and then let it rest for the remainder of the week. While this was the old-school way of doing things, now studies have shown that it&apos;s more productive to hit the muscles with a higher frequency, so keep that in mind. Three times a week using a full body program with compound lifts would be optimal for muscle growth. Upper/Lower programs performed 4 days a week are also good, but one thing is certain and that is even if you are aiming to just increase your upper body, this does not mean you don&apos;t need to train legs - do not make that common mistake. They are not performing the right type of workout program. They are using incorrect form on the lifts they perform. They are doing too much cardio training. They are not eating enough total calories. Usually the reason why people aren&apos;t able to build muscle mass on their program is because they aren&apos;t eating enough total calories. Unless the program is planned out extremely poorly, you should be gaining at least some weight provided you are eating enough food. Many individuals tend to eat fewer calories than they should because they are scared of putting on too much body fat. You&apos;ll make much better progress if you accept some body fat as part of the muscle gaining process and then work on dieting that off later. Just note that that was some body fat. There is no need to let things get completely out of control. Some Body Fat As Part Of The Muscle Gaining Process. Most people will have chosen some form of biceps exercise since it seems to make the most sense. While it is true these will really target the biceps muscle specifically, the problem is that you aren&apos;t going to be lifting nearly the same amount of weight as you would if you were doing a heavy set of rows. Reversing the grip on the rows stimulates the biceps to an even greater extent (overhand-grip rows will target the back more), so be sure you include this variation. 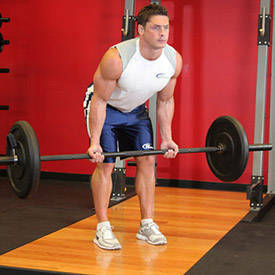 Click Here For A Video Demonstration Of Reverse Grip Bent-Over Rows. 5. When Adding In Your Abdominal Workouts, Where Is The Best Place To Put Them? At the start of your workout as a warm-up. At the end of the workout as a cool-down. On days you do cardio training. Who needs abdominal work when you&apos;re doing heavy squats? The best place to put your abdominal workout will be immediately after your weight lifting session. You could also put them on days where you are just doing cardio, but this would only be a good idea if you are not doing weighted abdominal work or you are keeping the intensity slightly lower. Since your off days should be a day where the CNS is not stressed, you should be keeping any work to light cardio and stretching if possible. 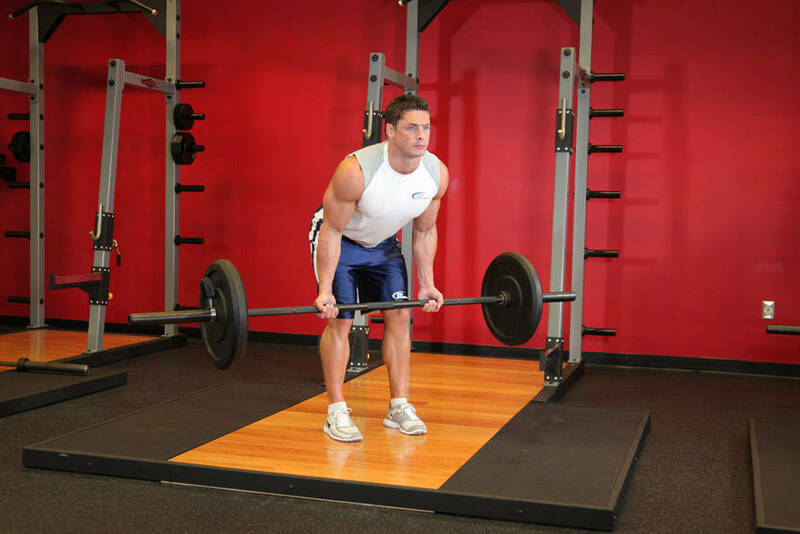 Doing them after the workout is a smarter move because if you perform them first thing, you will go into all your other weight lifting activities already fatigued, so that could impede your ability to lift heavier on these exercises. Since the abdominal muscles act as stabilizers for all exercises you do, you could potentially risk injury if you&apos;re not careful with making sure the abs are not pre-fatigued. Train Insane With Kane, Episode #27: Extreme Abs! Kane&apos;s in the gym today doing some painfully slow, deliberate ab raises. We&apos;re not quite sure what he&apos;s doing in the next scene but due to some sun glare it&apos;s another fail for him. Performing some form of abdominal work every day because the abs need to be worked at a higher frequency than the rest of the muscles. Doing lots of weighted abdominal exercises. Practicing Push-Away&apos;s (not a gym exercise). If one of your goals is to actually make your abs physically stronger, then it is a smart move to perform some type of abdominal exercise to stimulate the muscle fibers, causing small tears that then have to be rebuilt stronger later on. If your primary goal is to just get a six pack however, then it&apos;s really not going to matter all that much how many crunches you do, you will need to work on getting your body fat percentage lower. The best way of doing this is to gain control over your diet, as that&apos;s the factor that tends to cause people the most trouble with fat loss. Cardio and weight training can help, but a smart diet is usually the number one factor that&apos;s needed for optimal fat loss. Is To Gain Control Over Your Diet. It depends on how much you are willing to eat - the more calories you eat, the more muscle you will build. For most people training naturally, you can realistically expect to gain about 2 pounds of lean muscle a month, half that if you&apos;re female. Some individuals who are very new to weight lifting and have optimal hormonal levels, training principles, and diet may get closer to 4 pounds of lean muscle mass, but after a few months of training this will slow significantly. Since there is a limit to how much muscle the body can synthesize at any given point in time, you will not build more muscle from even more eating. You do need to take in a surplus of calories, but too many calories will just quickly lead to fat gain. About 2 Pounds Of Lean Muscle A Month. Take a week off from the gym. Add more total exercises to your workout program. Add more total sets to your workout program. If you haven&apos;t seen the scale increase in a while and muscle gains seem to be stagnant, then the first thing you should be doing is increasing your calorie intake. As mentioned previously, this is often the biggest factor that stops people from seeing the results they are looking for, so it&apos;s the initial step to take. If that fails, then the next step is to take a week off from the gym. The one thing you don&apos;t want to do is get caught up in adding more volume to your workout as often that&apos;s half the problem with you not gaining muscle in the first place. Many people are doing too much volume and hindering recovery abilities, so by doing so they would just compound the problem. So, be sure you&apos;re keeping these points in mind as you go about your muscle-building workouts. How many were you mistaken on? Beginner&apos;s Muscle-Gain Program: Stop Worrying & Start Training! While you always have your crowd of people, more and more are starting to turn away from cardio to work on building muscle. Here&apos;s a great plan to do just that. Try it out now and start feeling better about yourself. Good luck! Tips to gain muscle mass - ensure you are getting enough protein, getting enough stimuli to overload the muscles, and be sure you&apos;re not doing too much volume... Here are some simple ideas to use in your quest for greater muscle mass! The winter months are the time of year to gain mass and strength or maybe by bringing up a weak body part or two. 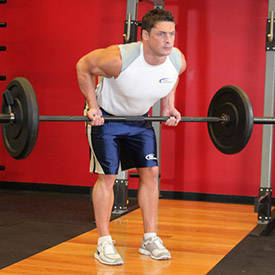 The focus of the following program will be strength, basic exercises, and higher reps. Try it out... if you dare!